So I finally finished Midnight Crossroad. Although it’s been a slow reading month, I’m happy to say that it didn’t take me over a week to finish the book (unlike Sujata Massey‘s The Floating Girl). I say that mainly because Midnight Crossroad was both easy to put down at times, then not so easy. So it certainly had a revved-go-halt feel to it concerning my personal sense of its pacing. That doesn't disregard my overall enjoyment of the book and its cast of dusty, supernatural characters hunching together over a Texian (hoo-hoo) murder mystery. No, that’s only to say that as much as there were arid, unfulfilling chapters, there were just as many (and more) entrancing ones. Nevertheless, I believe the true seduction to the first book in Charlaine Harris’s fresh series remains within her party of characters. And I can gladly state that I live in anticipation for the following two books in her new trilogy, especially because she gives you just enough overarching plot and room for character development to bread-crumb you into the proceeding offerings. 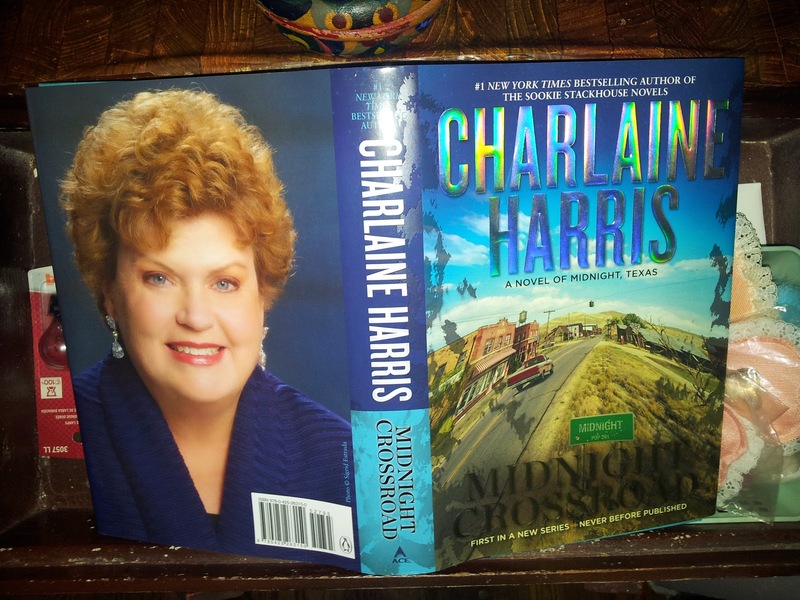 So in reflection of my Friday Reads post--where I posted my many speculations about the book--I should share what Midnight Crossroad is really about. The book opens with an introductory scope of the town Midnight, Texas. You get the single stoplight. The old, occupied settings/buildings the characters frequent. And the registry of West Texas climate and terrain. So it’s clear that this is a place for seclusion, touched with Harris’s mystical wonders. Seriously, you just know something isn't right about this town. Harris's description of the town comes further expressed in the form of Manfred Bernardo’s arrival in the opening chapters. Searching for solitude, he’s the psychic of this developing group of supernatural (and natural) characters. Those familiar with Manfred will realize that he came plucked from Charlaine Harris’s Harper Connelly series. Next on the list of peculiar people populating Midnight is Manfred’s landlord and owner of the town’s pawnshop, Bobo Winthrop. Now this took me a really, really good minute to realize this, and I had to sort of mentally cross check Bobo’s background with my suspicions. Eventually I came to realize that Bobo Winthrop was a character pulled from Charlaine Harris’s Lily Bard series. It clicked the minute Bobo shared information regarding his racist father, and the reasoning behind his migration to Midnight. 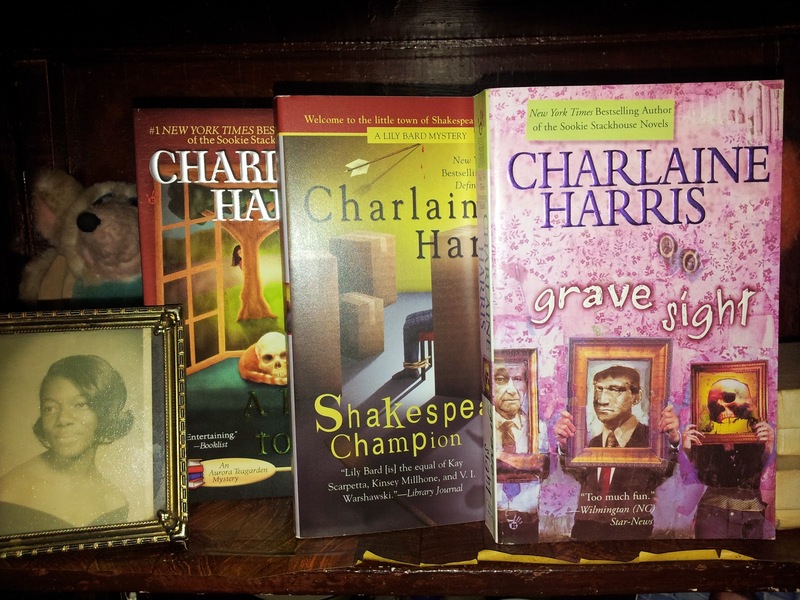 With Bobo tied into the book's murder plot, it dawned on me that the bulk of Midnight Crossroad’s mystery element bubbled out of the mystery contained in the second book in Harris’s Lily Bard series, Shakespeare’s Champion. When all this clicked, I found myself grinning (as you all know how much I love the Lily Bard books). One other character comes into Midnight Crossroad from another of Harris’s series; however, the new character--and my personal favorite from within this new venture--is the character of Fiji Cavanaugh. Fiji is the owner of a New Age shop called The Inquiring Mind. She sells rearing unicorn statues and stuff like cold case resin statues of dragon fairies. That’s not all, however. Considering she identifies herself as a witch (or Wicca), she also sells herbs from her backyard and gives spiritual classes related to her religion. Fiji easily became my favorite for a host of reasons--besides her being a witch. She just had that resonance of practicality and reason that I attached to. Plus, her cat can talk. Stack in a gay couple, an odd blond woman who isn’t afraid of enticing murder, and a vampire serving some of the strangest of customers after hours in the pawn shop, and you have a recipe for unscripted scenarios and some tough character motivations. And the ball begins rolling during a peaceful picnic where Harris’s collection of misfit characters run across the dead body of Bobo Winthrop’s missing girlfriend, Aubrey Hamilton. Under his duress, this loving casts them comes together to gather their powers--and brains--to seek out the culprit. And let me clarified how that is absolutely not all contained within their first story. There are other complexities, complications, and layers worth exploring. Oh, and several moral dilemmas that even I walked away scratching my head at their conclusion; slightly upset by Harris's set up to be honest. Yep. As much as I liked this cast of characters, they were sometimes dimwitted. I have to stay frank. However, the funny thing is that this book reminded me of how ruthless Charlaine Harris’s characters can often be. It’s not necessarily a bad thing, but if I can see a different outcome to a situation, I don't understand how a party of six or so sit on a moral panel and not think differently from one another. Or at least contest their options thoroughly. Another hiccup I had with the book had less to do with the material and more to do with Harris’s reliability with unfolding her characters' state of affairs to the reader. Given that a multitude of characters bucket-brigade the book, their voices/roles are shared through the third person. Very well. That’s a first for Charlaine Harris. Nonetheless, a problem fell in those moments where important information arrives second-handedly to the reader. But first let me backtrack a bit and state that the principle characters are Manfred, Bobo, and Fiji. So while those characters seemingly outside the trio may get a pass for having significant activities take place off-stage, I did find myself frustrated when Fiji reveals important information to Bobo about an e-mail she received from one of her customers related to the mystery. I had a moment of “excuse me, but why wasn't I there when you got that email?” cross over me. Clues, red herrings and misdirections must be uncovered to the reader in time with the character providing the sleuthing. It's no biggie, however. It didn't take away from the overall experience. So on that note, I have confirmed that I am absolutely in love with Charlaine Harris’s new series. It had its moments with both pacing and an unassured narrative flow. Maybe I'm just a fan of Harris that I'm bias and prone to find a reason to love everything she writes any damn way. But still, that permeating breeze of mystery surrounding both her peculiar characters and the backbone of the book is what really drove it all home. 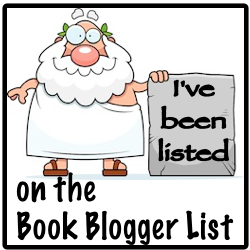 Be ready for puzzles, intrigue, and somewhat caginess toward the characters’ rash decisions. But mostly, be prepared to occupy yourself within Midnight, Texas. 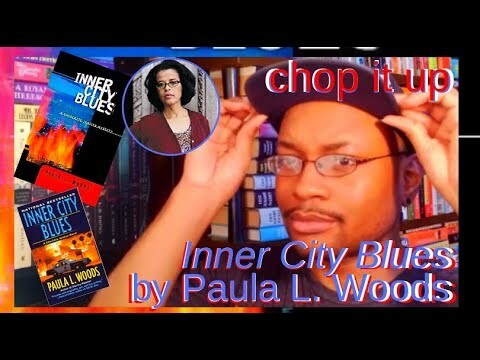 Please share your thoughts if you've read Midnight Crossroad.